If you’re in the market for a new car at the moment, you’ll have plenty of different automobile manufacturers to choose from. There are more than 30 auto brands competing for the business of car buyers all across the U.S. right now. There are pros and cons that come along with almost every brand. But you can’t go wrong when you make the decision to buy a Honda. Whether you go with a brand-new Honda or select a certified pre-owned Honda, you’re guaranteed to get a great car out of the deal. So, what makes Honda so special? There is a long list of benefits that you’ll get to enjoy when you decide to add a Honda vehicle to your driveway. Check out some of the advantages of going with Honda over the other auto brands below. The first thing you’ll notice when you walk onto a dealer’s lot to check out Hondas is that there are a lot of them. Regardless of whether you’re looking for a small compact car or a large SUV for your family to stretch out in, you’ll find something that’ll work well for you and your family. You’ll have a great time looking at all the different Hondas to see which one fits your lifestyle. You’ll also get the chance to test drive a few different options so that you can compare and contrast how each one feels when you’re out on the road. The average car lasts for about 11 years. That’s up significantly from 20 years ago when it was about 8 years, but it’s still not that long in the grand scheme of things. If you’re going to invest a bunch of money into a vehicle, you want to know that it’ll last you for a long time if you need it to. And more often than not, a Honda will last. Most Hondas last much longer than cars made by other auto manufacturers. 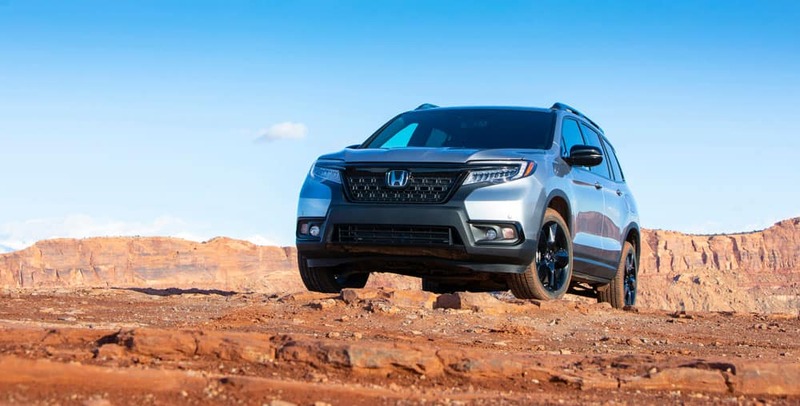 A study done a few years ago revealed that Honda has, by and large, produced the most durable vehicles over the last 25 years or so. The study looked at Hondas released between 1988 and 2012 and found that about 75 percent of them were still out on the road. This means that, once you purchase a Honda, you’ll more than likely get your money’s worth over the years. Hondas tend to keep on ticking well after their counterparts have already hit the nearest junkyard. In recent years, just about every auto manufacturer has made a huge push to include more technology inside of the vehicles they produce. From infotainment systems to driver assistance packages, there are all kinds of tech crammed into vehicles these days. This is great in a lot of ways. Tech features have, for example, made cars safer than ever before. They’re reducing the number of accidents that people get in and giving drivers peace of mind that they didn’t have previously. But one of the downsides of all the new-age tech incorporated into cars, trucks, and SUVs is that it’s driving the cost of vehicles up. Way up. People are being forced to pay more than $36,000 on average for a new car in 2019. This is yet another area in which Honda reigns supreme. Hondas have most of the same tech features as other cars do, but you can get your hands on many of them for well under $36K. There are also special deals available through some Honda dealers. For instance, you might be able to save a significant amount of money by taking advantage of the Honda College Graduate Program or the Honda Military Appreciation Offer. By now, you know that Hondas are durable, reliable, and affordable. And if popularity is something that’s important to you when you’re shopping for a new car, Honda has you covered in that department, too. Year in and year out, different Honda models, like the Civic, the Accord, and the CR-V, routinely land on lists showcasing the most popular cars in the country. Hondas are even some of the most popular cars in the wealthiest neighborhoods in America. You shouldn’t buy a car just because it’s popular. But the popularity of Hondas should tell you something about them. Honda clearly makes cars that people trust, which is why they keep buying them over and over again. When you’re in the process of buying a new car, the last thing on your mind is what you’re going to get for it one day when you sell it. That could be 5, 10, or even 15 years down the line, so why worry about it now? It is something you should think about, though, especially since the average American keeps a car for between 6 and 7 years. You could be selling your car sooner than you might think. If that turns out to be the case, you’ll appreciate the fact that Hondas have a great resale value. Honda racks up Kelley Blue Book Best Resale Value Awards almost every year thanks to the high resale value of many of their vehicles. As you can see, it would make all the sense in the world for you to buy a Honda right now. You’ll get your hands on a great car at a great price when you choose Honda over the competition. Start shopping for a Honda today to see why so many people have purchased Hondas over time. From the moment you get behind the wheel of one, you’ll see and feel the difference. 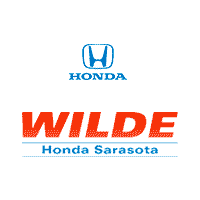 Contact us today to take a Honda out for a test drive or to ask any questions you might have about our new and certified pre-owned Honda selection.